TEA BENEFIT Green tea can help protect against diabetes: When starch is consumed, it requires the enzyme amylase to break it down into simple sugars that can be absorbed in the bloodstream. 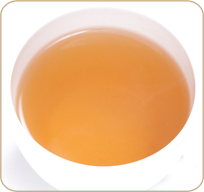 Green tea polyphenols inhibit amylase, and so can help lower blood sugar levels. High blood levels of glucose and insulin predispose people to diabetes. Green tea can help prevent food poisoning: As it can kill bacteria, drinking green tea with meals may reduce the risk of bacterial food poisoning. It prevents the growth of dangerous intestinal bacterial strains such as clostridia and E. coli and promotes the growth of friendly bifidobacteria.